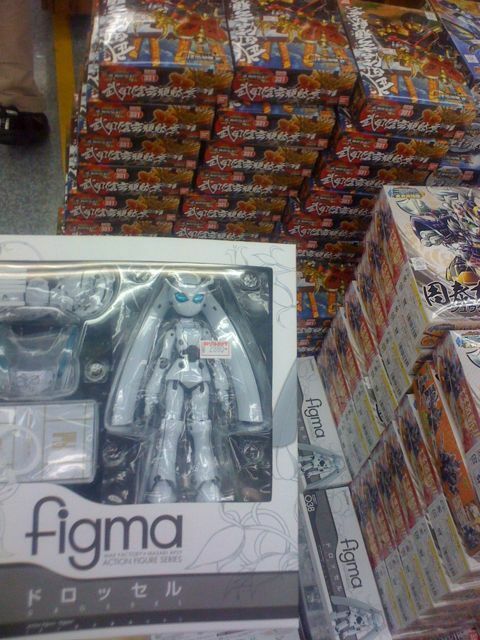 The incredibly popular figma of Drossel has be re-released and is available in stores now it seems. 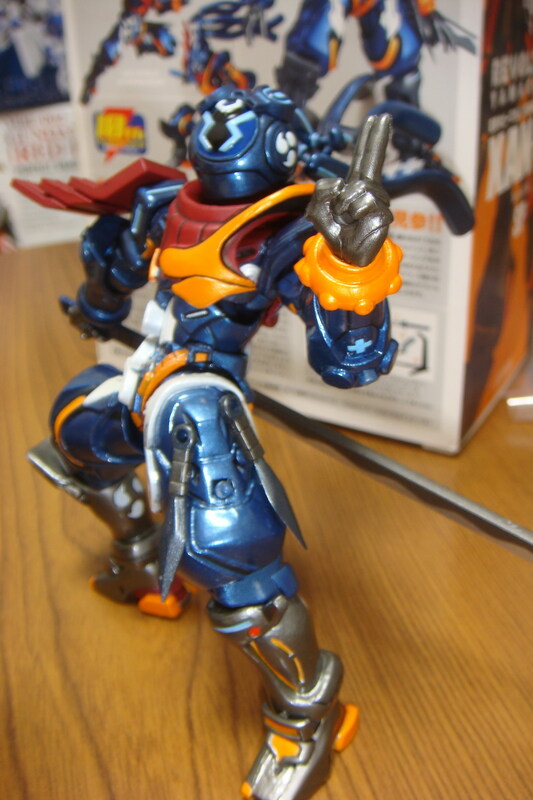 I’ve not seen the anime, Fireball, from which Drossel hails from, but this is a pretty cool figma. The release is rumored to be only 5000 units so those wanting one should get one now while you can. 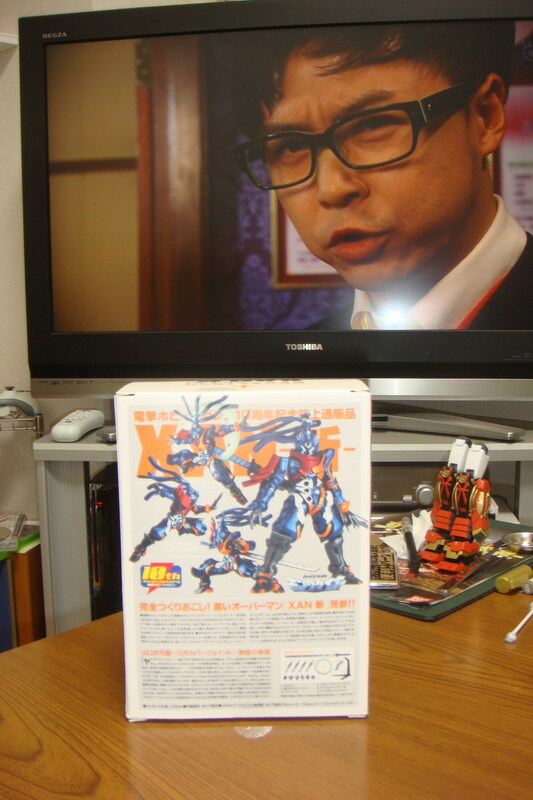 This photo was taken at Yodobashi Machida, and they now have only four left. 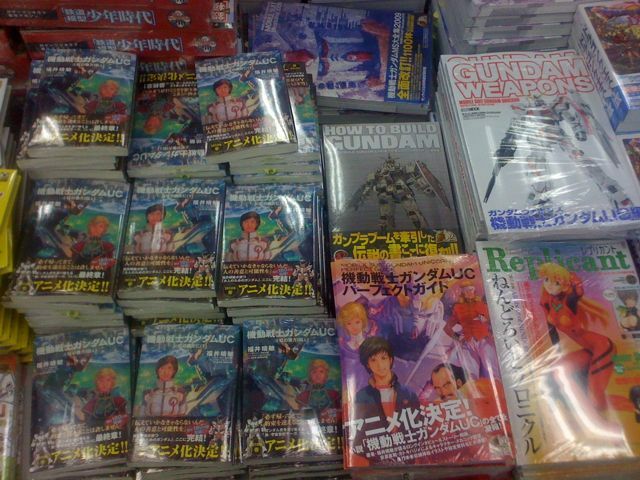 In a Gundam related note, the final two Gundam UC novels are also in the wild as well. 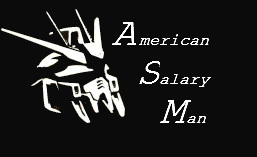 A lot of Gundam related print materials are coming out now, kind of hard to know what’s worth getting. 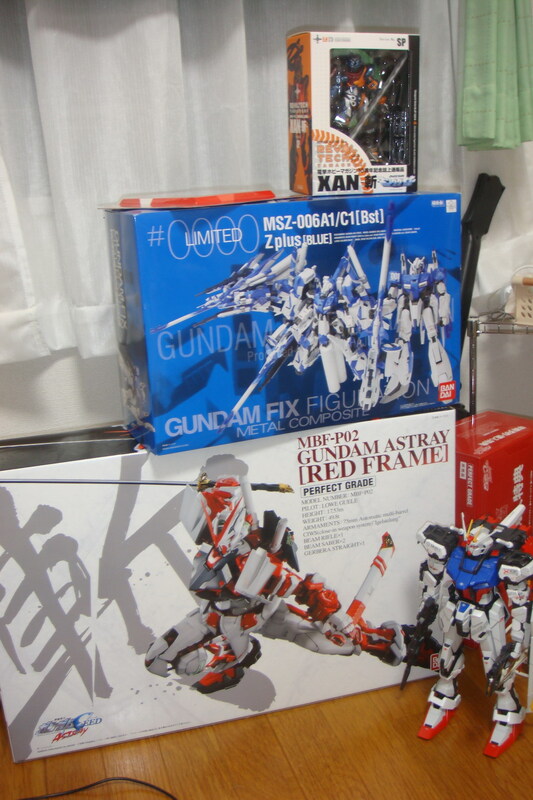 Well, if you haven’t figured out what the impulse buy was, I took the plunge and picked up the GFFMC Zeta Plus (Blue). While it may not exactly go with the blue, I managed to snag the bonus stand which is only given for the red as well. Expect pictures and more shortly. 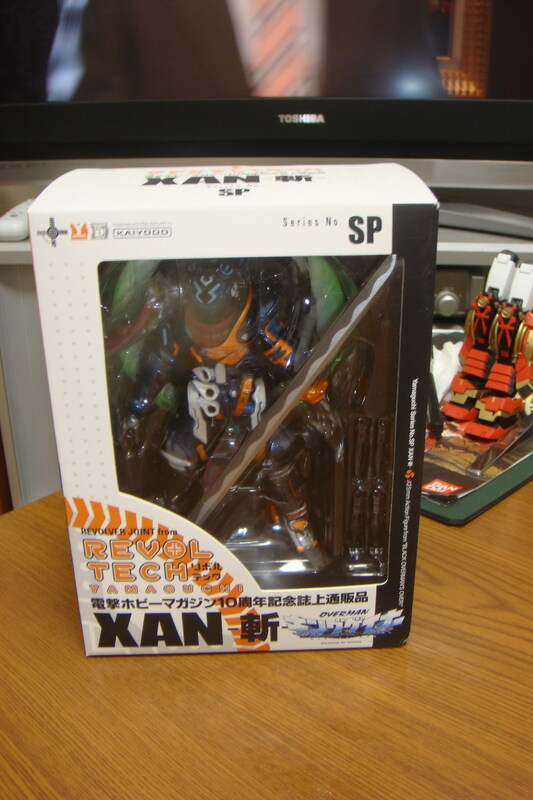 As for the suprise, I forgot that I had pre-ordered the Overman King Gainer: Xan figure, that was only available through Dengeki Hobby, as part of their 10 year anniversy. 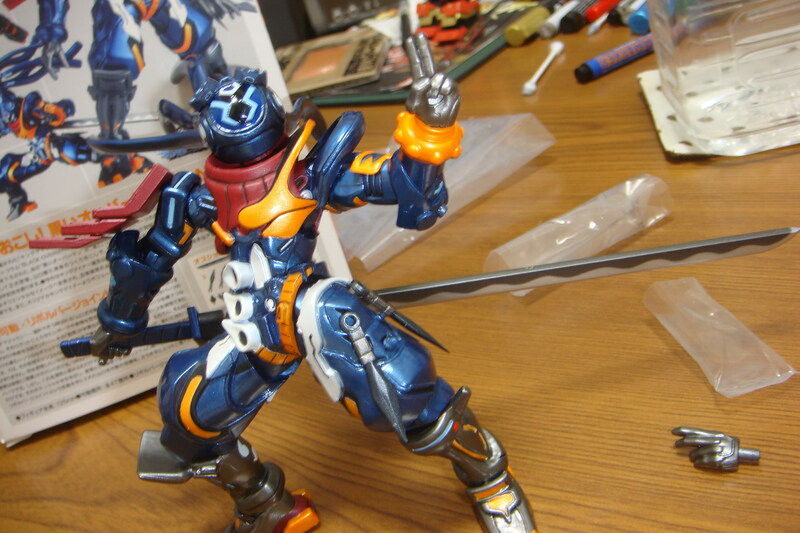 While I’ve not seen the anime, I saw the figure and thought it looked cool so went ahead and pre-ordered it. 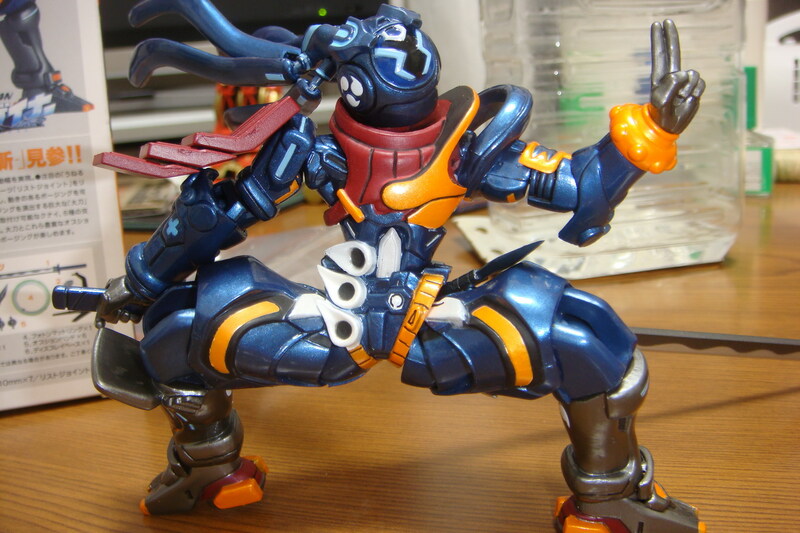 One thing that is nice about Xan is the way it’s designed, the joints aren’t as obvious as they are on other figma’s and revoltech’s. Anyways, pictures speak louder then words, so take a look.